The church bells are tolling, the horns are blaring, reminiscent of Paul Revere's ride alerting of the British invasion, we hear a cacophony of news alerts, "A COLD FRONT IS COMING". Many parts of our nation are paralyzed from snow blizzard. The tentacles of the January 2014 storm are reaching as far south as Miami. In Miami the mercurial levels rarely fall below 70 degrees. On the rare occasions when Miami temperatures drop to 60 degrees, it is fodder for news reports across TV, radio and the Internet. Regardless of where you live, outdoor cats are acclimated to the temperatures in their environment. Miami is no different. Hence on the five days of the year temperatures drop to below 40, some community or outdoor pet cats do not survive. Perhaps their bodies are weak from unknown illness or they did not have shelter with enough protection from cold or wind. This week temperatures were at a high of 85 degrees Fahrenheit and plummeted a whopping 40 degrees within hours. Thankfully we were prepared. Lately we have experienced anomaly rain levels for this time of year. Normally the sun is bright, the weather dry. New Years week has showered more rain rivaling our summer days. So the early rains prompted Christine to build cat shelters. They in turn are now serving as shelters from the bitter cold. 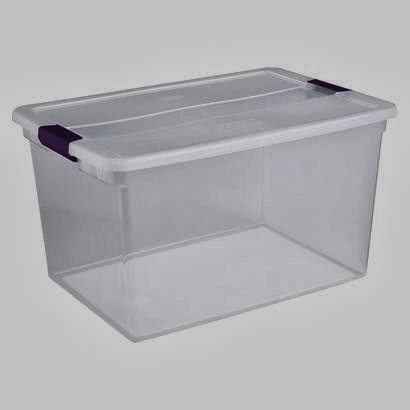 From experience and much trial and error, what we have found most effective to build shelters that the cats will actually use are clear plastic storage bins. Many websites promote Styrofoam boxes. 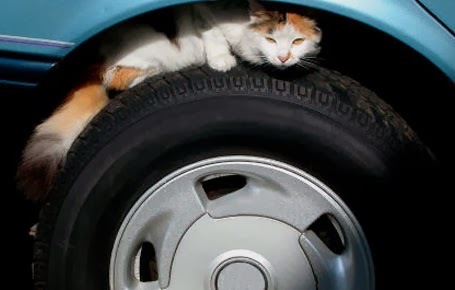 If you are confident they work for your outdoor friendly and feral cats, then do continue to use them. This is why we use CLEAR PLASTIC BINS. 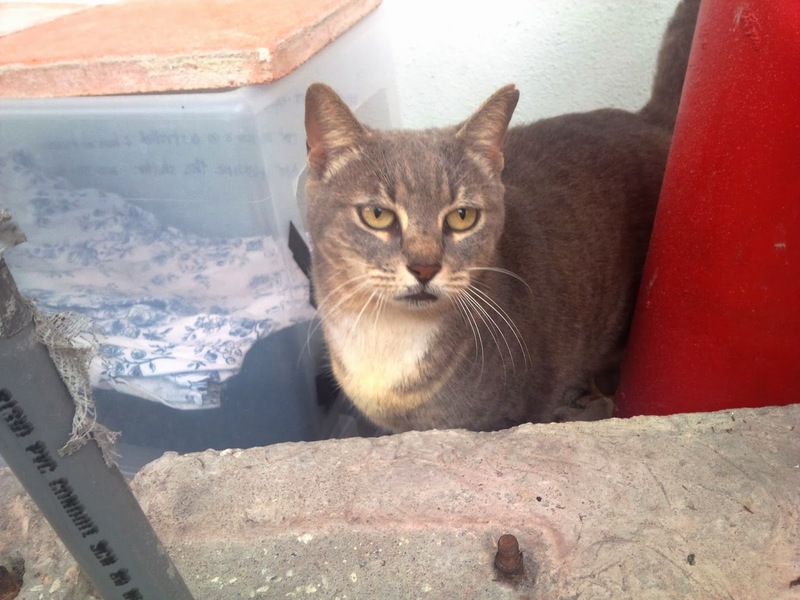 With a number of cats in the neighborhood-- a stray that may wander upon our colony, a passing raccoon or opossum, an unleashed dog out for routine bathroom break (we've seen it all)-- the Riverfront Cats need the ability to exit if another creature pokes their head into their shelter. No cat likes to be cornered. The clear plastic allows the cats to see their surroundings if they sense a human or animal is approaching. The materials we used were an exacto blade, electrical tape, pair of rubber gloves, strong muscles and long sleeve shirt and jeans. The shirt and jeans are for you to wear. The plastic is thick and difficult to cut so we use an exacto blade. CAUTION-- cutting through the plastic can be dangerous. The blade can skate off the plastic and puncture your finger or other body part. This is why we recommend wearing gloves, and layer of clothing to minimize deep cuts. A person with strong arm can cut through the plastic quicker and more easily than Olive Oyl. Find your Popeye. Then we cut out a square on both sides of the narrow ends. And the electrical tape? Well the plastic is brittle and cracks will create jagged cuts. We recommend cutting those off and softening the edges with electrical tape. Cats may have to run in and out and scrape against the edges. We want to shield and protect cats, not increase their risk of injury. Also we flip the bins upside down as the top portion is slightly wider for cats to lay and stretch. Also the lip is wider. Next, since we are a nonprofit providing a community service, we chose to write a notice with permanent marker to minimize someone from removing the shelters. " Please Do Not Remove. [then in Spanish] No Quitar. Placed by Riverfront Cats..."
You'll notice we also flip the bins and lay them upside down since the original top portion is a little wider. Since many of the shelters are placed near bushes and branches, the Styrofoam boxes would not be suitable as it creates high pitched noises when branches rub against the box. You can purchase these type of storage bins at stores like Target. The average price is $8. Please know these bins do become more brittle over time and have to be replaced every three to six months. But we have found it to be the most cost effective solution overall than building a custom or wood shelter that often are removed and go missing in our neighborhood. Mama Cat featured above is a regular user of the cat shelter for rainy and cold weather. She doesn't wander far and her perimeter is less than one block. Straw can be used during cold weather but straw is hard to obtain in downtown Miami. Hay should never be used as it gets damp and wet and mushy. 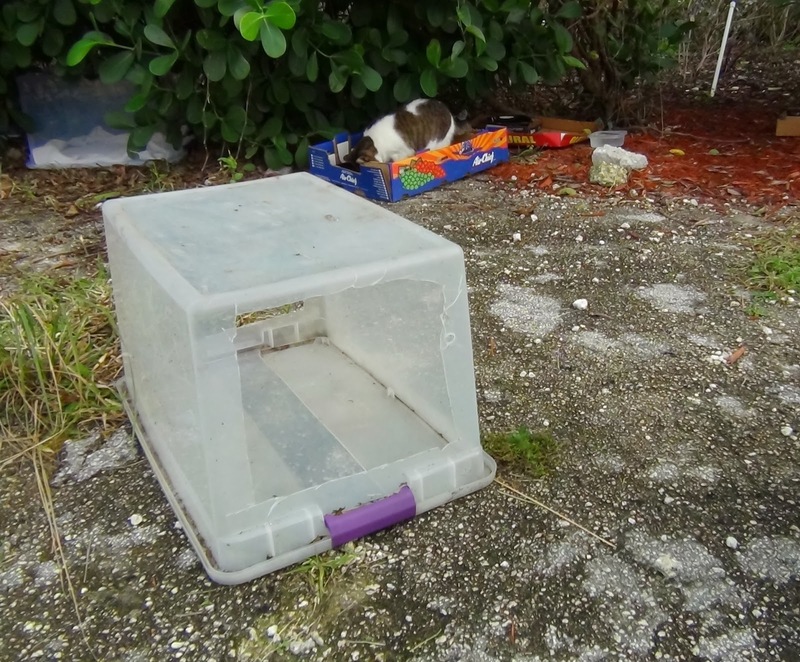 In making the rounds during bad weather, we see the shelters in use by the cats. Such a relief! We would LOVE to have shelters built by architects fashioned after a win-win-win solution in New York City for Feral cats called Architect for Animals. One year! 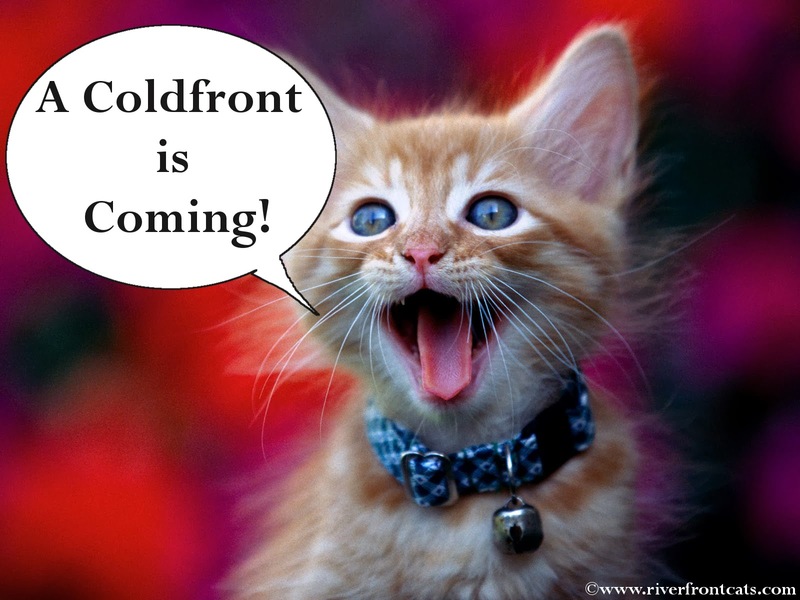 Until then, the above shelters are affordable, functional and provide shelter and refuge for the Riverfront Cats. I love the hiding in bushes idea! just tweeted this, your idea is amazing. I am wondering if this type of shelter might be too cold for kitties up north though? Would the plastic freeze?